Binge drinking is not a new phenomenon in the world today. It is very popular among college students who usually carry on the pattern even after they graduate from campuses. Many people binge for different things such as food, internet, drug or alcohol among others. Binge drinking is not a healthy choice for you. Did you know that there has been an enormous assumption that majority of people who consume alcohol have been involved in binge drinking at some point in life? Some individuals manage to control their drinking habits while others engage in regular binge drinking behaviors. In most cases, alcohol issues develop when an individual loses control over the quantity of alcohol he/she consumes and how eagerly someone drinks. It is therefore a great idea for everyone to know what binge drinking is and the potential binge drinking problems thereof. Binge drinking is a dangerous alcohol consumption pattern that involves taking lots of alcohol within a short time span. Binge drinking can be simply defined as the act of drinking to get drunk and is common in both men and women at different stages in life. It is actually hard to tell the exact amount of drinks consumed in one session that qualifies one to be a binge drinker. This is because everyone is unique in his own, but research findings say that women who consume four drinks in a span of about two hours as well as men who take in five drinks within the same duration of about two hours are considered to be binge drinking. This is according to the National Institute on Alcohol Abuse and Alcoholism (NIAAA). Men who take in over 8 units of alcohol in a single session as well as their female counterparts who take over 6 units of alcohol in a single session are considered to be engaging in binge drinking. With this manner of drinking, an individual’s alcohol concentration in the blood raises to a great extent leaving a huge workload for the vital body organs to clear the alcohol substances in such a short span of time. This poses the person to various health problems and the consequences can be very awful. How Can You Tell That You Are A Binge Drinker? The trickiest bit about drinking is that it’s hard to tell when it becomes excessive. For you to tell whether you are a binge drinker, check your blood alcohol concentration. If it hits 0.08 grams percent and beyond, then, you are a binge drinker. Talk to a drug and alcohol recovery professional the sooner you identify this problematic drinking pattern. You’ll find help. Binge drinking and heavy drinking cause individuals to experience one or more memory lapses after alcohol consumption. This is usually associated with blackouts or other issues with memory every time they drink. Binge drinkers may not drink on a daily basis but they usually drink excessively during weekends and holidays. If you find yourself drinking more over the weekends and holidays, then this is a great warning sign that you are either a binge drinker or a heavy drinker. Binge drinkers mostly rationalize their behaviors by saying that they only drink on weekends. Majority of binge drinkers have issues with frequently drinking more than they intended. As they begin to drink, the intention is to take in one or two drinks but they end up drinking up to four drinks and beyond. This is a clear indicator that there is an extensive drinking issue that needs to be addressed. In most cases, binge drinkers become defensive and will do everything to rationalize their use of alcohol. They actually tend to ignore the concerns of other people and try to prove them wrong. If you need help with binge drinking, always listen to the concern of other people. Remember your family members and friends observed your drinking problem long before you noticed it yourself. So, listen to their concerns. Many people find themselves failing to meet their daily obligations due to alcohol use. Binge drinking omits you from keeping your commitments, attending to your family, children or work and this might greatly affect your social and economic life. As mentioned earlier in this content, binge drinking can result to alcohol dependency if not treated during its early stages. One of the most significant signs that an individual has a problem with drinking is the occurrence of mixing drugs and alcohol. As a result, they tend to lose track on the amount of alcohol they consume qualifying them to become binge drinkers. As mentioned earlier in this article, binge drinking is simply a form of problematic drinking that involves heavy drinking followed by a session of abstinence. The moment an individual finds it difficult to control this pattern and it becomes a regular occurrence, then it sounds alarming. Drinking affects an individual’s social, financial and physical health. Many people from different communities fear talking about their drinking habits for various reasons. For instance, some feel like they have become social outcasts and they tend to fight the battle alone. You don’t have to struggle with binge drinking problems alone neither should you let your friends or loved ones go through this problematic drinking pattern alone when you can find help. Your help is just a call away. Talk to a doctor now for help. Is There Any Distinction Between Binge Drinking And Alcoholism? Alcohol use disorders vary depending on the extent at which an individual loses control over their drinking patterns. There is therefore a huge distinction between binge drinking and alcoholism. While binge drinking involves taking in lots of drinks within a short time span, alcoholism is the alcohol dependency problem. 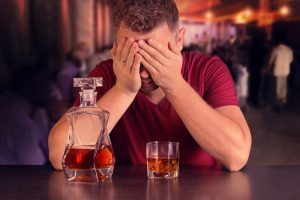 It is the strong craving for alcohol that leads people with alcoholism to continue drinking even after experiencing various social or physical problems. They develop some bad cravings for alcohol and their attempts to control or stop drinking becomes futile. With binge drinking, an individual goes through a period of abstinence after drinking a specific amount of alcohol in a single session but an individual with alcoholism typically drinks on a daily basis. This behavior is repeated over and over again and becomes part of the alcoholic lifestyle. The moment someone drinks whether once or so often qualifies him/her to be a binge drinker. To help you know whether you are a binge drinker, just check on the number of drinks you consume in a 2 hour period. Consequences of drinking too much or too quickly in a single sitting are quite numerous. The effects can either be long-term or short-term. This may include accidents that may result to injury or death, poor judgement and lack of self- control among others. Therefore, instead of drinking too much in a single occasion, it is highly advisable for every drinking individual to spread their drinks evenly throughout the week. Having several drinks-free days in a week is one of the healthiest and effective way to help you cut down on your alcohol consumption behaviors. Just like any other drug or alcohol consumption, binge drinking has got its own side effects. Binge drinking is associated with a couple of numerous health and behavioral issues. Some of its side effects are minor and temporal while others can lead to permanent impairment. The side effects of binge drinking mainly depends of factors like age, gender, weight, amounts consumed, how quickly you drink and whether there are other drugs involved in your medical history. Sudden side effects includes: – nausea, dehydration, shakiness, memory loss, and coordination problems and poor judgement. 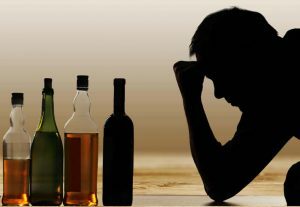 Long-term side effects of binge drinking includes: – heart problems, stroke, cancer, liver disease, brain damage and infertility. These complications results from frequent binge drinking. Excessive alcohol consumption is harmful to your health. According to research, binge drinking result into numerous short-term and long-term effects on an individual’s health. If you or a person you know is involved in this type of drinking habit that that brings the blood alcohol concentration to over 0.08 %, then, it sounds alarming. To stay safe, it is very important you guard your health and know how to stop binge drinking for good. Which Are The Binge Drinking Risks? Binge drinking is dangerous and poses an individual to risks such as alcohol poisoning, accidental injuries, sexual dysfunction, contraction of sexually transmitted diseases and unwanted pregnancies among others. Automobile accidents are very common with binge drinkers. People who binge drink are very likely to admit to alcohol impaired accidents compared to their counterparts who do not binge drink. Need Help With Binge Drinking? Any individual regardless of age, gender or social status can fall victim of binge drinking at any point in life. 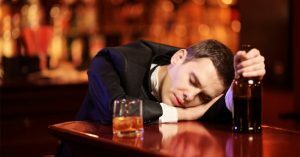 Are you sick and tired of your binge drinking behavior? You need help. Talk to a professional doctor now and say goodbye to all alcohol and substance abuse issues that are affecting you or your loved one today. Just like in the case of alcoholism, the number of binge drinking cases increase one year after another. After all the drinking and alcohol awareness campaigns in different parts of the world, nothing seems to change much. Even if binge drinking is not the same as alcoholism, it can just be as risky as alcohol dependency. Drinking huge amounts of alcohol at any given point is hazardous to your physical, mental and emotional health. It also greatly affects the life of people living with you like friends and family. There are several reasons why people binge drink. Find out. This is common with adolescents. At this stage in life, the young people becomes rebellious and they simply want to prove their uniqueness. The need for independence pushes them to drink more since this will help them boost their confidence. Everywhere you go, many social functions involve alcohol. We have seen many people who attend such events and they just envy as see how their drinking counterparts enjoy lots of fun after drinking. Due to the need to feel the same, they end up drinking. We are living in days where we are faced by many life stressors. Different people have different options on how to face the underlying challenges. For some people, drinking becomes the best option. When people binge drink, they tend to feel good and they actually drink more to feel much better and forget about their problems. Peer influence is as strong to adults just like it is to the adolescents. This happens when one wants to fit in a given social class. If your friends are binge drinkers, you end up doing the same for you to feel at par with them. Some friends will demand that you drink and feel the buzz as they do. You end up binge drinking. 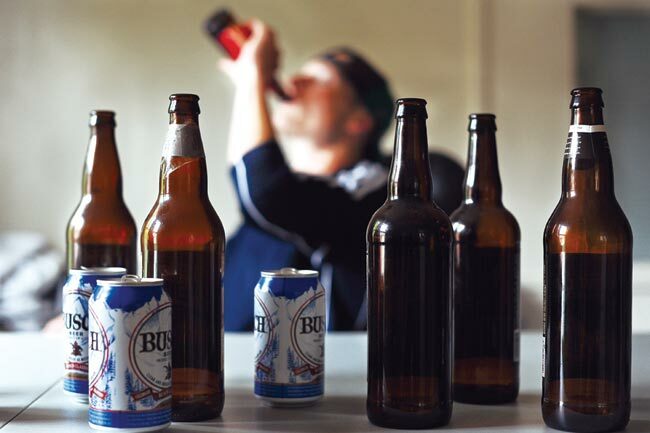 There has been numerous incidences where peers binge drink to win in a given drinking game. It is in such drinking competitions where individuals end up drinking dangerous volumes of alcohol in a single occasion since no one wants to lose the game. It is quite evident that people who binge drink find it difficult to control the way in which they drink but research shows that some interventions can help. Having some brief one-on-one sessions with a qualified counselor is very important. It is during those brief intervention sessions that you discuss your drinking habits and find out the root cause of the problematic drinking problem that is affecting your life. A qualified counselor will take you step-by-step to help you understand why you drink and helps you with proven plans that you can use for you to experience change in your abusive drinking habits. According to NIAAA, there are different approaches that are better suited to help you. If one approach doesn’t work for you, then a different approach can be implemented to help you come out of the mess. Accurate diagnosis is therefore very vital in helping analyze the drinking problem for the doctor to determine the right type of treatment for an individual’s case. This mostly happen in extensive cases of binge drinking. 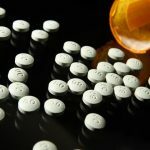 After analyzing your binge drinking problems, the doctor may need to enroll you into a formal rehab program where you will be taken through several counseling sessions and support groups to help you with your drug recovery. Did you know that binge drinking is not the same as alcoholism? And that if you binge drink you are likely to develop alcohol use disorder? I though you should know. This is a clear indicator that it is very possible to shift from being a binge drinker and become an alcoholic and this can happen very quickly. This poses you to a world of serious health problems followed by many other harmful issues you can never imagine. Do you want to get your life back on track? Why wait for your binge drinking pattern take you to becoming an alcoholic while you can find help? Call us today, we will find the best treatment options that are very specific to your case to help you live an alcohol-free life. We’ve got some world-class treatment facilities to help you get your life back on track. Most binge drinkers are not alcoholics but still most alcohol deaths are associated with binge drinking. A shift from binge drinking to alcohol dependence is very simple. It therefore calls for vigilance and support for a binge drinker not to enter alcoholism. So, don’t let your binge drinking pattern go unchecked. Yes. Women has less body water compared to their male counterparts and this implies that they reach a higher alcohol blood concentration level fast at the same consumption level. This is evident even after taking into consideration factors like body size and food consumption among others. Not many people want to admit that they are binge drinkers. True? People have been trying to rationalize their actions by making exceptions simply to rule out that they are not binge drinkers. But does this really help? No. Therefore, let’s ditch the confirmation bias and face it head on! Just be objective on your actions and find out whether you are a binge drinker, alcoholic or a heavy drinker. This will help you find help. Can I Find Help With Binge Drinking? The answer is yes. Those persons who recognize early that they have a problem with alcohol drinking at the early stages can get help fast. Before the drinking problem reaches the addiction level, it is easy to curb the condition. Well, this doesn’t mean that even the extreme levels of binge drinking cannot be treated. It means that it can only take a longer duration before the individual goes back to sobriety. With the help of a highly qualified and dedicated drug recovery doctor, you can be rest assured of finding help and your dreams of staying an alcohol-free life becomes a reality. Majority of people start binge drinking as teenagers or young adults. Addressing this problems as early as possible is the best way to go. Remember that repeated binge drinking leads to many serious issues with alcohol. Call a licensed mental health professional immediately you notice that you are engaging in repeated binge drinking. Don’t let your friend or loved one suffer binge drinking in silence. Help them find help and as soon as now. Do you have a problem with drugs and alcohol use? Ask for assistance. Do not feel ashamed about it. Speak out for there is help for you. Healing begins with you. For you to find help, you must admit that you’ve got a problem and that you need help. Find a drug and alcohol recovery center near you and talk to a professional counselor now. How Long Does It Take To Recover From Binge Drinking? In most cases, binge drinking treatment depends on an individual case. There is no outlined timeline for binge drinking recovery. Your commitment to treatment and rehab therapy determines the speed of alcohol recovery. Finding medical intervention on alcohol disorder at the early stages guarantees a speedy recovery. If you have been a drug or alcohol addict for many years, don’t you worry. There is help for you. As long as you are committed to starting an alcohol-free life, your quest is unstoppable. 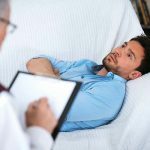 How Much Is Binge Drinking Recovery Treatment? No specific amount is charged on binge drinking recovery treatment. It all depends on your individual case and the rehab facility you visit. Treat binge drinking problems before they shift to alcohol use disorder which might be a bit expensive to treat. Talk to your health insurance providers to find out if they cover alcohol rehab treatment to cut on the cost of your medication. Now that you know what binge drinking is and the problems associated with it, I’m sure you feel a bit enlightened. Don’t you? I’ve got some key points for you to help you lower the risk from alcohol low. First, ensure that you limit the amount of alcohol you consume in any given occasion. Be careful to drink more slowly and be keen to alternate drinks with water or food. To ensure that you keep it safe, always ensure that you avoid risky places and undertakings that might pose you to injuries and other life threatening scenarios. Always mind your personal safety and the safety of other drivers or passengers. Therefore, avoid driving while drunk. Stop Binge Drinking – It’s Not Good For you. Binge drinking is actually riskier than drinking normally. Why? The reason being, your body can only process one unit of alcohol in an hour. Drinking more than four units of alcohol in an hour largely increases your blood alcohol concentration to risky levels and this can make you drunk quickly. Are you worried about your binge drinking? Finding help from a professional doctor is a great idea for you. Do not feel ashamed, speak about it and seek help.